It was dark in the cave as the rope lowered me along the cavern walls. Deeper and deeper I went down into the pit and more and more fear welled up inside me. I’d never been inside a cave before, but our Explorer troop leader assured us that this would be the adventure of a lifetime. Weeks before, our Girl Scout troop had met with the local Boy Scout troop. Our leaders had decided it would be a great idea to meld the two troops into one and call it “Explorers.” Of course, our group of pubescent girls were ecstatic to even think about doing things in the out of doors with a group of good looking, overly hormonal young men. Our leaders had no idea what they were getting into at the time, so the plans moved along and we kept our giggles to ourselves and our fingers crossed behind our backs. Our first expedition would be an overnight camping trip to the extreme Northwest corner of Georgia as it borders Alabama. The leader of the Boy Scout troop knew of a great cave in that area and thought it would be perfect for teaching us the art of Spelunking. As we listened to him give an overview of our trip plans, we were both excited and nervous. None of the girls had ever been caving before and although we wanted to appear brave and fearless, we were literally trying to keep the noise from our knocking knees silent so the leaders could consult on which equipment was needed and what food we’d want to cook. After the initial planning meeting was over, each of the girls in our troop went home with a long list of supplies in hand and the image of our chosen one, our male counterpart, in our head. We were sectioned off into pairs and our assigned hiking buddy was sadly a member of our own troop instead of the opposite as we had hoped. Girls would camp and hike with girls and the boys would do the same. Our leaders were no dummies. They knew how dangerous it would be to send a troop of rambunctious teenage girls into the dark with a troop of equally adventurous teenage boys. They didn’t want the name of our new troop, “The Explorers,” to be christened true on our maiden voyage. The week was spent gathering our supplies and packing them into a bundle we could fit nicely on our backs. In the early 70’s, most of us didn’t have the convenient day packs hikers carry today. Our crafty mothers managed to sew bags with straps that would do the trick. I was lucky enough to have my Daddy’s army pack to use. Eagerly I crammed all of my gear into the pack. Our frugal Girl Scout leader told us to be sure and bring a water bottle and she suggested we use an old syrup bottle that had been rinsed out and prepared for that very purpose. It was a good idea in theory, considering water bottles weren’t yet popular at that time. We were told to wear grungy clothes that would take caked dirt and mud well. My Daddy’s U.S. Army coveralls would be perfect for that so I slipped them into the bag. I could barely sleep the night before the trip. I was on the phone with my camping/hiking buddy most of the night. Cyndy and I were best friends in high school and in Girl Scouts so it was wonderful we’d been assigned to be each other’s partner for this trip. We giggled and plotted how we’d get to spend alone time with our dream guys. Cyndy had picked out a Senior named Greg and I had picked out a junior named Matt. Somewhere in the wee hours of the morning, we drifted off to sleep with visions of those hunky guys wandering through our heads. Our troops carpooled to the assigned location. All along the way, our leader, Mrs. Cameron, chided us on remembering to be on our best behavior. She expected us to act like ladies and not like love struck ninnies. We assured her we’d comply while secretly winking at each another and smiling. After what seemed to be hours, we arrived at the mountain. Quickly, we unloaded our gear and rallied around the leader of the Boy Scout troop. He gave us instructions to stay together and listen well. He didn’t want to have to repeat things over and over again. He had a whistle around his neck. If we heard it blow, we were to stop dead in our tracks and stand still because he had something important to say. The girls in our troop raised our hands in the three fingered salute to indicate we had heard and understood. There must have been about thirty teens and six adults, give or take a few…my memory isn’t as sharp as it used to be. We looked like ants following one after the other up the side of the mountain that day. When we reached the entrance to the cave, the whistle sounded. We heard, “Drop your gear” and so we did. We were told the entrance to the cave was in front of us and to achieve access to the cave, we’d each be lowered into the abyss via a rope/pulley type harness. As soon as I heard those words, my heart leapt into my throat. I hadn’t planned on this! Our troops formed a semi-circle as the leaders prepared the harness. The first brave soul to be lowered into the mouth of the cave was the Boy Scout leader’s son. One by one, members of the boys’ troop went forward to take the plunge. The girls stood back with trepidation. “Oh, come on!” our leader yelled, “Who’s going to be first?” Reluctantly, I raised my hand. Someone had to do it! I stepped into the rope harness and felt it tighten around my waist. I was glad I’d already slipped on my Daddy’s Army coverall. The rope bit into my crotch area. I was so thankful at that moment I wasn’t a boy. I could just imagine what the rope would have done to my nether region if that had been the case! Slowly I was lowered down into the hole. I offered a silent prayer as I went. As I was made my descent, I realized the sides of the cave walls were close around me. The opening was narrow and long. There were gnarly roots and sticks protruding from the cave walls. As I looked up, toward the entrance, I could see daylight becoming fainter and fainter. The scoutmaster stood overhead yelling, “Stop wiggling!” I was scared and I guess I was wiggling my legs in fear. It was about 30-40 feet before I felt my feet touch the bottom of the cave floor. When I did, the boys began to clap and cheer. I felt great! I’d made it! I was the first girl to do it and it was awesome. The other girls and leaders were lowered into the cave and as soon as everyone was down, we did a sound off. Each person counted off by numbers. The leaders knew exactly how many of us there were and if the sound off didn’t meet that exact number, we weren’t going to be moving another step. Thankfully, everyone was present and accounted for and we could proceed. The scoutmaster handed out headlamps and showed us how to use them. Our headlamps were attached to plastic helmets. Inside the little lamps were pieces of calcium carbide. When water was placed in with the calcium carbide stones, an acetylene gas was formed. When the gas was formed, a match would be lit and the miner’s lamp would provide light for our journey. It was very interesting to learn about the way these lamps were used in the past. It took a few minutes for all of us to get our lamps on and ready. We were told not to let our lamps go out and if they did, to stay put and wait for a leader to come to our aid. With our lamps on, we could see the inside of the cavern. Our heads turned in all directions illuminating the cave. We were standing in a huge “room.” Stalactites and Stalagmites surrounded us. I’d never seen them before! They were amazing! These rock formations took hundreds and hundreds of years to form. As we looked at them, we heard a chittering sound overhead. Above us were thousands of tiny, black bats. We didn’t give a thought to the possibility of them carrying rabies, we were just awestruck at their presence. Little did we know, we’d soon be traipsing through bat guano. We left the safety of the big room and began our Spelunking journey. The large room split off into various sections and each section twisted and turned randomly throughout the cave. We started out being able to stand and walk freely inside the cave but soon found ourselves having to kneel down and get on all fours as the cave narrowed. The floor of the cave was cool with wet mud which also made it very slick. We could hear a distant dripping throughout the cave. One of the leaders mentioned underground springs and warned us to be careful as we proceeded. We used our hands when we could to hold onto the sides of the cave walls but were told not to damage any of the rock formations. Traveling through the small passageways gave me the willies. I had never been claustrophobic but I could feel the temptation to give way to it very easily in here. Our headlamps shone brightly the first hour but began to dim as time ticked on. Each group leader had a sack of replacement stones in the event a lamp began to die. Constant laughter and chatter filled the cave as each group of two traveled off on their own. We had fun listening to our echoes as we would shout out a word and listen for it to travel back to us over and over again. My partner and I had eased into a narrow passage and had just saddled a ledge. The ledge was so thin we found ourselves sitting down and scooting along it to reach our destination. Suddenly, horror struck! I’ll never forget the feeling of absolute terror when my headlamp went completely dark. There I was behind my friend, Cyndy, with my legs dangling on each side of a narrow cliff ledge in pitch black darkness. I know I must have screamed out because I heard her stop ahead of me. Her headlamp flashed my way as she turned her head in my direction. She must have seen the tears welling up in my eyes because she scooted backwards to be closer to me. There in the dark, I did as I was told. I sat and waited. We waited for about fifteen minutes and no leader came. Cyndy said she was going to go find someone to help us and I begged her not to leave me but she did anyway. I was terrified! Have you ever read the book, Dante’s Inferno? Well, I hadn’t read that book at that time and I’m so thankful I hadn’t…but I did read it many years later as it was assigned reading for a high school class. In that book, there’s a description of the 9 circles of hell. Sitting there on that ledge in utter darkness, my imagination went wild! I couldn’t even see my hand in front of my face. My legs were dangling over who knew what and I was totally petrified by fear. I imagined that was what hell felt like. I must have only been there for a few minutes but it seemed like hours. Cyndy came back with the leader and she took my headlamp and rekindled the fire. I was so thankful to have my precious light again. Cyndy and I edged our way across the ledge and back toward the way we’d come. We took a side path and ended up in another grand room with a very low ceiling. There we found the entire group enjoying their lunch beside an underwater lake. We sat down and took our lunch from our packs. I was so thirsty and reached for my repurposed Aunt Jemima syrup/water bottle to take a big swig of cool, clear water. What I got instead was a big gulp of nasty, soapy, syrupy tasting water! My mother, in her attempt to make sure my reused syrup container was clean, washed it not only with water but also with soap. The only problem was, she’d forgotten to rinse it out well and soap residue remained. Needless to say, this was not a good day for me! First the lamp went out and now, I was left to drink from a soapy bottle of water that would surely produce a good case of diarrhea if I’d continued to drink. Soon the leaders were rounding us up. It was time to head out. I was never so glad to see daylight! When we made our ascent out of the mouth of the cave, I wanted to kiss the ground. I did kneel there for a few minutes but that was because we’d been in the cave so long our eyes had to readjust to the light. You’re probably wondering where I’m going with this story and I’m getting there now, so be patient. 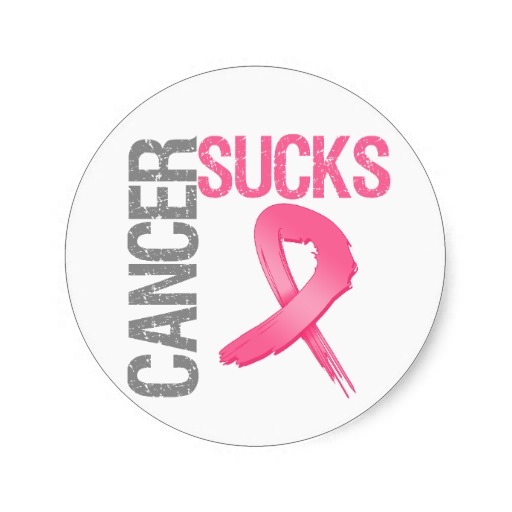 The name of my new blog is Pink in my Rearview, leaving cancer behind. The name of my blogs aren’t taken lightly. My first blog was entitled Journey into Pink, the Big C has found me. When I first started blogging, I wanted to chronicle each step of my breast cancer journey. It was not only cathartic for me, but I wanted my experience to possibly help someone else as they began their own journey. 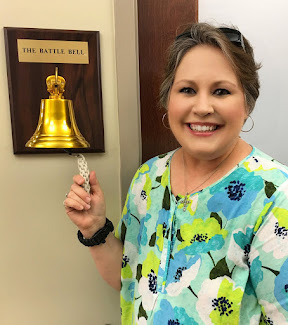 When I felt, at the beginning of this year, God telling me it was time to move on…I knew I couldn’t keep chronicling my breast cancer journey on my original blog. 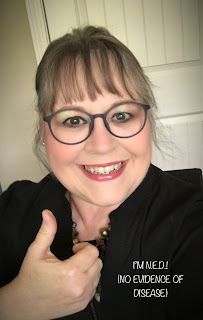 Things were changing and God was moving me in a new direction, so I began a new blog. The title of this post is called “Inching my way forward” because that’s exactly what I’m doing. I feel like I’m still in the cave, in the dark, stuck on that ledge. I’m sitting with my bottom in cool, damp, slimy mud and I’m wondering when the light is going to come on and illuminate my path so I can see where I’m going, but so far…there’s no light. I know I’m supposed to keep moving forward but all I can do is inch along. I’m scared and this is the time I’m called to be brave. In the Bible, when I think about people who were brave, I think about Abraham. He had some big faith. When God told him to sacrifice his son, he did exactly what God told him to do but God stepped in at the last minute and kept him from thrusting the knife into Issac’s chest. When God told Abraham to leave his home and travel to the land where he would receive his inheritance, Abraham just gathered his things up and left, even though he had no idea where he was going. Now that’s brave. It’s natural to want to cling to what we know is safe and sure and true, isn’t it? I know I feel much safer when I know exactly where I am and exactly what’s going to happen next. Certainty brings security. But I think God is trying to teach me that although certainty means I know what’s going to happen next, confidence means I can TRUST what’s going to happen next even if I don’t have a clue…even if I’m stuck on the middle of a ledge in the pitch black darkness like I was in that cave! Now I’m really hoping God never places me in a cave again, but I do know that He wants me to keep on moving even if it’s only inch by inch. So that’s what I’m trying to do. I’m doing my best to have faith. I’m doing my best to go where He wants me to go even if I don’t know where we’re going. I’m clinging to the verses in Proverbs 3:5-6 which say: “Trust in and rely confidently on the Lord with all your heart And do not rely on your own insight or understanding. In all your ways know and acknowledge andrecognize Him, And He will make your paths straight and smooth [removing obstacles that block your way]. So that’s where I am and hopefully, now you can understand why I used my Spelunking adventure to bring you to this point. I wanted to help you see and understand that sometimes God’s going to take us on difficult journeys. Sometimes He’s going to lead us down dark paths and we won’t have a clue where we’re going but even though we’re in the dark and it seems like we’re forgotten and lost…we’re never alone. He’s right there beside us, leading, guiding, and protecting. The Bible says even darkness is light to Him. “Even the darkness will not be dark to you; the night will shine like the day, for darkness is as light to you.” Psalm 139:12. And that gives me great comfort…just knowing that God’s headlamp never goes out. He can see perfectly well in the dark. He knows exactly where we are going and even though I don’t, I trust Him because He loves me and only has the best in store for me. Have you thanked Him for it?